The Empowerment Photographer, based in Kansas City, MO, is a boudoir photographer, but she’s not your average boudoir photographer. As an enterprising, avant-garde photographer, a luminary of acceptance, self-love, and female empowerment, this client needed their website to do more than just display their photography. It needed to showcase their mission, their purpose and their philosophy in a way that also reflected their unique style. The client recently had a super chic brand guide created for them. With their new, vogue branding elements already implemented in their digital marketing, their website needed brought up to par, to serve as the centerpiece of their brand and online presence. The client had already purchased the Divi theme and builder by Elegant Themes, from which a child theme was created. To ensure absolute responsive design and the best user experience on every type of device and screen size, some sections have multiple versions specifically for desktop, tablet, and mobile viewing. This is just the homepage design – there is much more coming for this site than what I have shown here! The client is still planning the content for their new website’s interior pages as well as some fun, interactive pieces for potential clients to play around with. 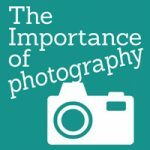 There is not a live link to view this website just yet; The Empowerment Photographer still has their old site up while the new website is being finished. Follow me on Facebook for further updates and the announcement when the new design goes live!